This week, for Five Favorites, I'd like to share five things that I love about Kyrgyzstan -- about the culture, the natural beauty of the land, things I'm looking forward to seeing, etc. 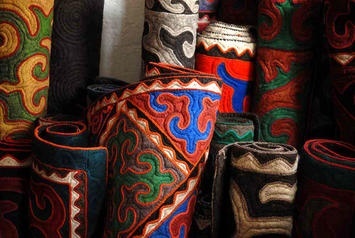 Kyrgyzstan is known for BEAUTIFUL felt art, including rugs. Here you can see a Kyrgyz Shyrdak rug being made, as well as hear a bit of the history and significance behind them. 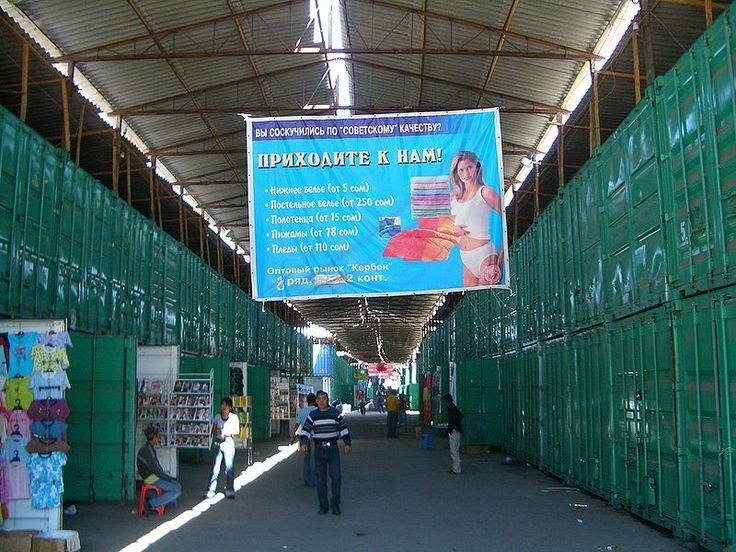 The bazaar in Bishkek, the capital of Kyrgyzstan, is large and sprawling, with different sections for different kinds of goods. In the clothing section, they sell directly out of shipping containers. When a shopkeeper wants to open up shop for the day, he simply opens the doors to his container. Central Asia still has a strong Russian influence, including the language. Which is great for us, because we can use the Russian we're learning. It's comforting to know that this switch isn't SUCH a huge switch. The Kyrgyz people were originally nomads, wandering the steppes of Central Asia alongside their livestock. Although people live in cities and drive cars, the horse is still an important -- and beautiful -- part of life in Kyrgyzstan today. 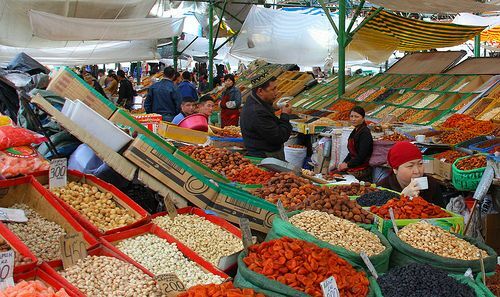 The Kyrgyz people are very proud of their nomadic heritage. From Bishkek, you can see the beautiful Tian Shan mountains. Here you can see the rather shocking contrast between the Soviet-era apartment blocks and the mountains in the background. Wow! What beautiful rugs! I very much enjoyed watching the process of making the rugs. That bazaar looks amazing. I have always wanted to wander around one for an entire day. And the shipping containers are so cool. What a great idea! I thought they were cool, too! And I've always wanted to wander around a bazaar -- it seems like a real life version of Adventureland at Disneyland. Love the rugs!! I wonder if they wear well?? I have no idea. I have a sneaking suspicion I will find out -- though I'm tempted to use one as a wall hanging because I don't want to wreck it with littles and the dog.